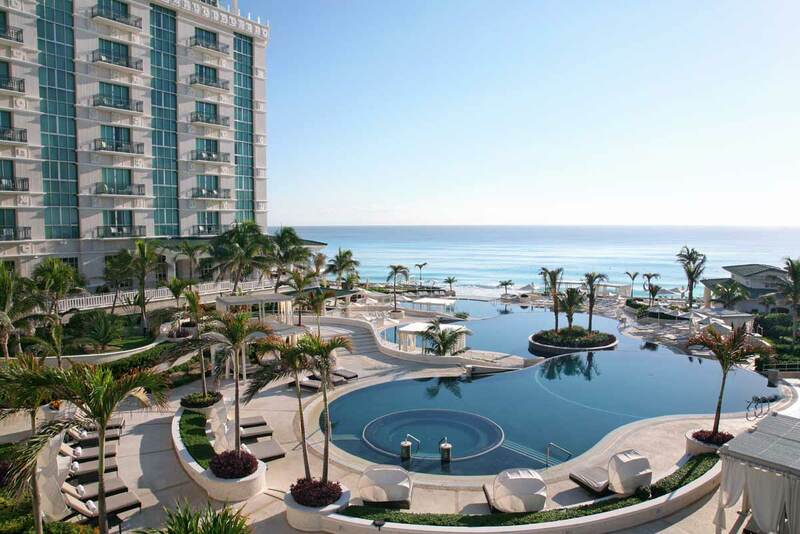 Sandos Cancun Luxury Experience Resort is a one of a kind hotel presenting the right blend of beauty, elegance and understated luxury allowing for the most discerning travelers to fully relax. Our exclusive “Total Gourmet Experience” will awake your senses and delight your palate with a variety of exquisite flavors. 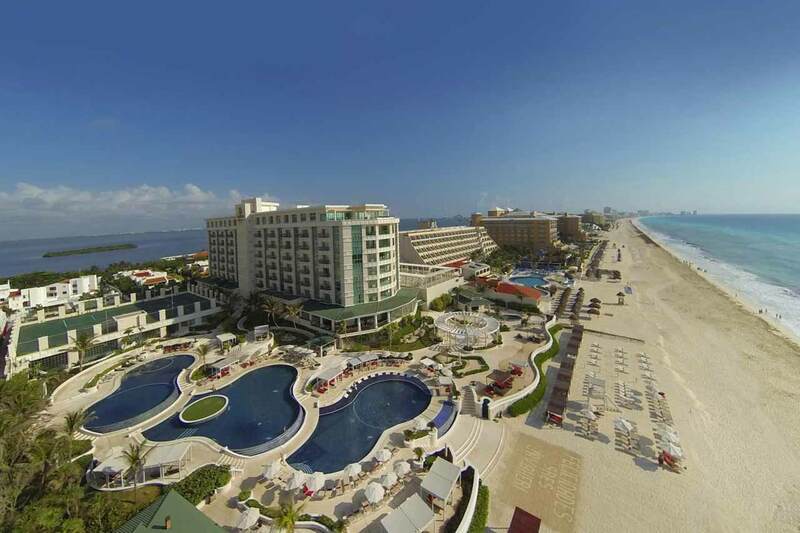 Sandos Cancun Luxury Experience Resort is strategically located on one of the most beautiful beaches of Cancun, at only 10 miles from Cancun ́s International Airport and very close of the main shopping areas and night life of the Hotel Zone. Choices of recognized golf courses are within easy distance of the hotel and will enhance the stay of the golf enthusiast with choice and variety. 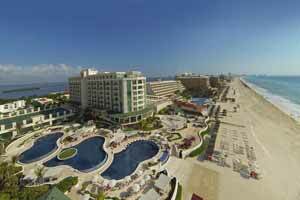 The Sandos Cancun Luxury Experience Resort offers different room and suites categories from which to enjoy the splendor of the Caribbean Sea and the Nichupté Lagoon. 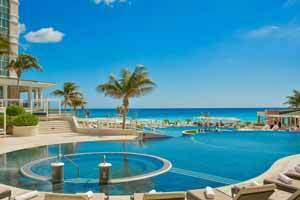 Sandos Cancun Luxury Experience Resort boasts a tranquil setting in paradise, offering luxurious touches throughout its restaurants, guestrooms, bars, beach and pool area that adult guests are sure to love. 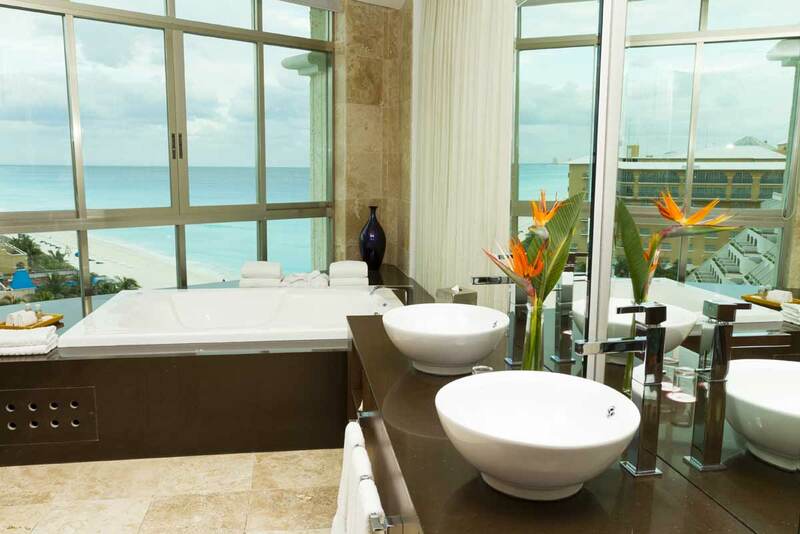 Give in to elegant sophistication with details you won’t find at your average all inclusive resort. 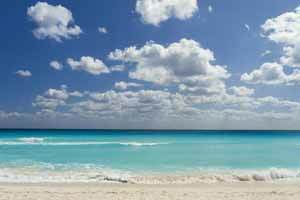 Here, we have gourmet cuisine, beautifully styled bars, tiered infinity pools and many other tasteful extras that are sure to appeal to adult travelers in search of a luxury Cancun vacation. 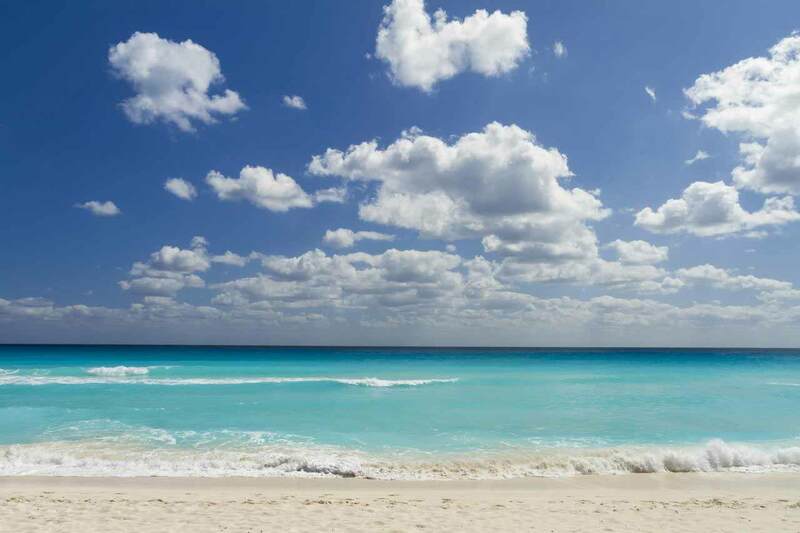 We even feature “Luxury Moments” and “Live Moments” throughout the week to ensure you enjoy some unexpected surprises during your stay at Sandos Cancun. 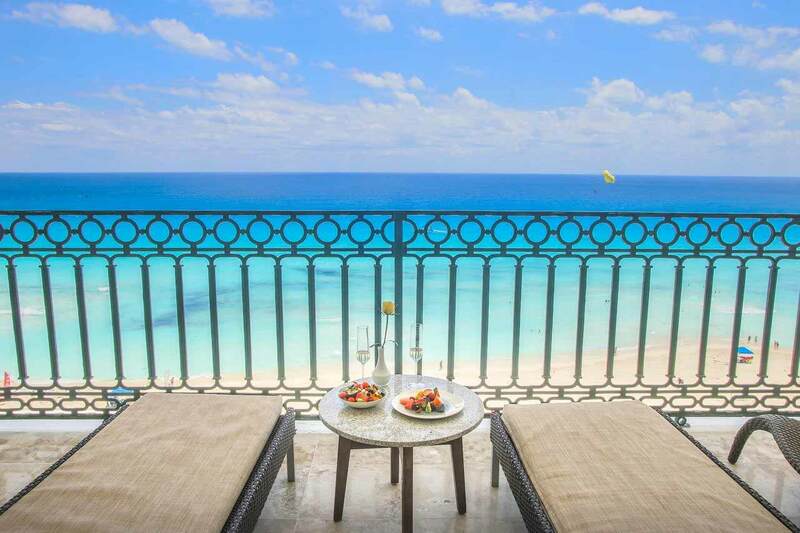 Music, cuisine, fashion and culture blend together under The Rhythm Experience. 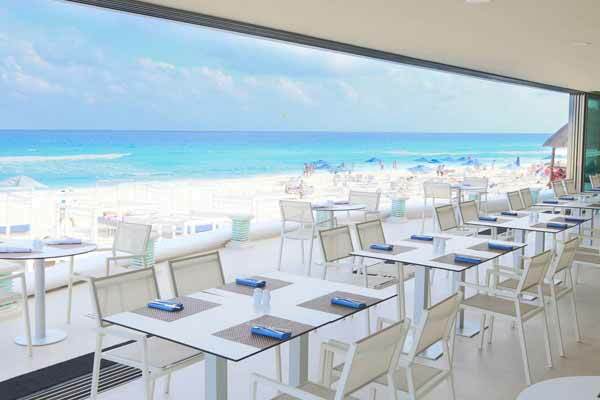 This entertainment lifestyle thrives at Sandos Cancun with a mix of beats, flavors and color by the beach. 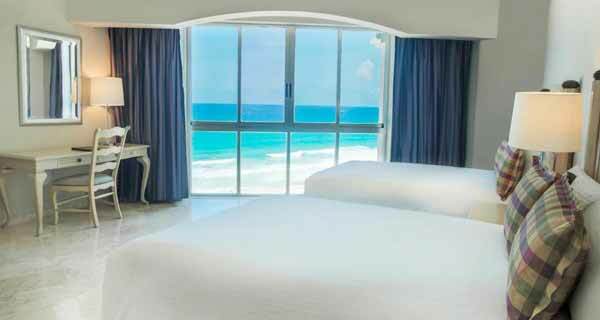 Each of the 214 elegant rooms and luxurious suites at Sandos Cancun Luxury Resort lends dazzling views of the turquoise Caribbean Sea and the calming Nichupté Lagoon. 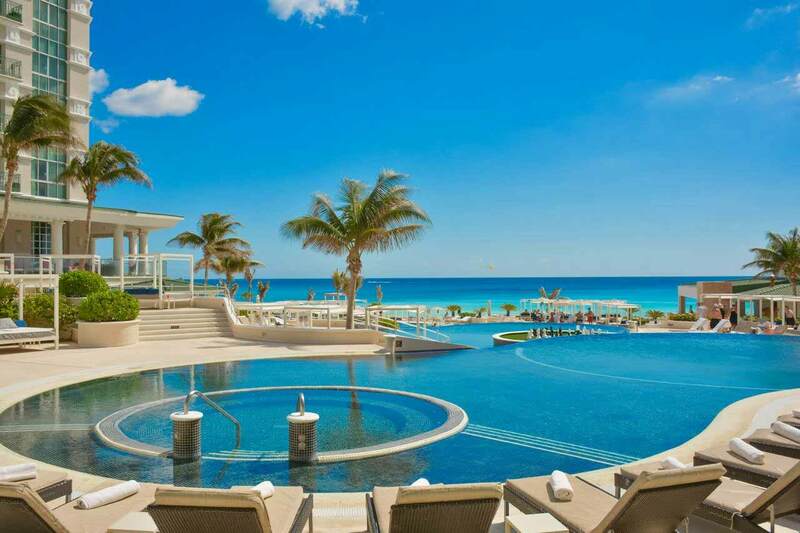 3 Infinity pools with heating option, including 1 Hydrotherapy. 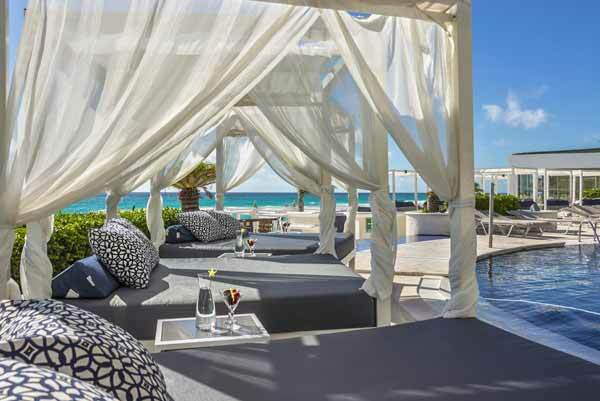 Gazebo, Terrace with magnificent view of the Caribbean Sea for Weddings. 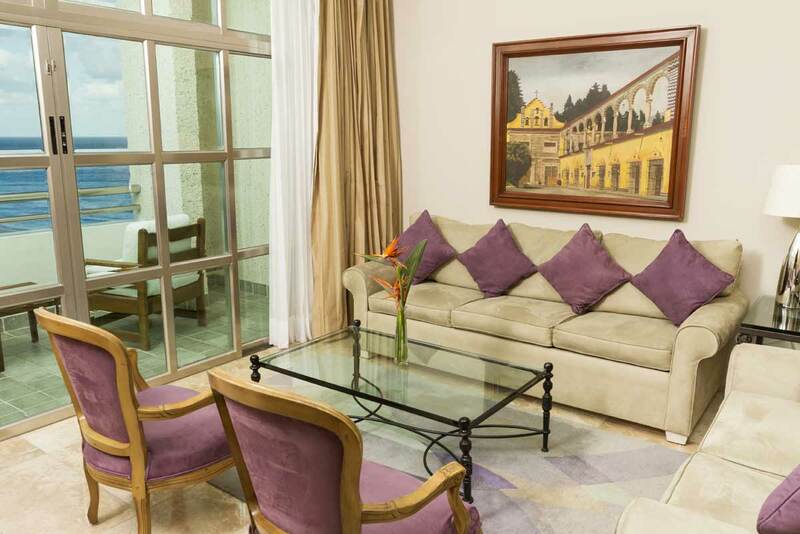 Extensive Meeting & Banquet facilities. Gym with Life Fitness equipment. (+18 years).